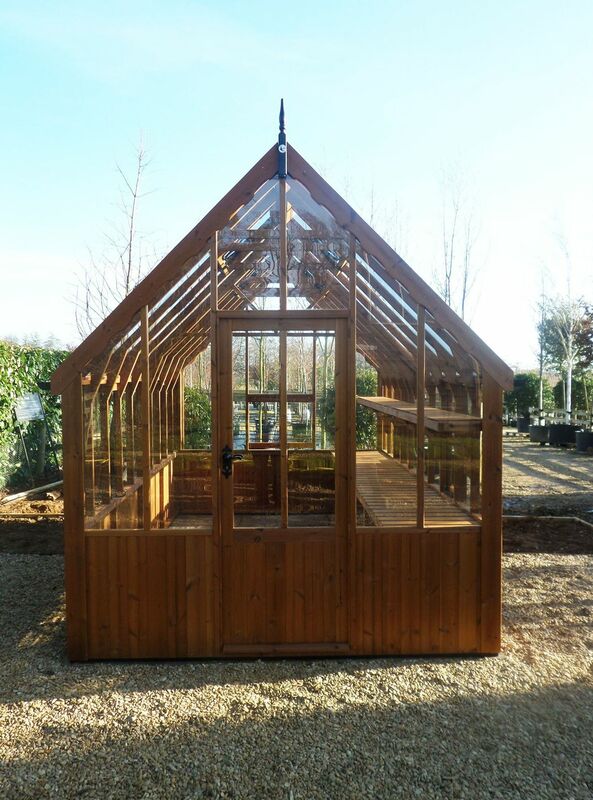 The new Swallow Eagle Greenhouse is a traditional victorian wooden greenhouse. This greenhouse was designed and developed at the Swallow factory in Yorkshire. Prototypes were built and tested, different materials and and configurations tried until the greenhouse was absolutely perfect. The Swallow Eagle Victorian Greenhouse design was born. All Wooden Greenhouse prices INCLUDE Installation! Pay only 20% deposit today on Swallow greenhouses and pay the remainder after installation. The greenhouse is constructed from Thermowood timber, a high tech heat treated wood from Finland. This timber is baked to very high temperatures to remove moisture, resins and impurities to stop the wood warping and giving superior harsh weather performance. Not only is this timber extremely hardy, it also looks great and has a lovely smooth, tight grained finish. The Swallow Eagle design follows the design cues seen in very traditional Victorian glasshouses such as a high pitched 30° roof angle, narrower panes, metal roof crestings and ornate wrought iron handles and latches. The greenhouse has automatic roof vent openers as standard, as well as side opening windows and a full length of staging and high level shelving. 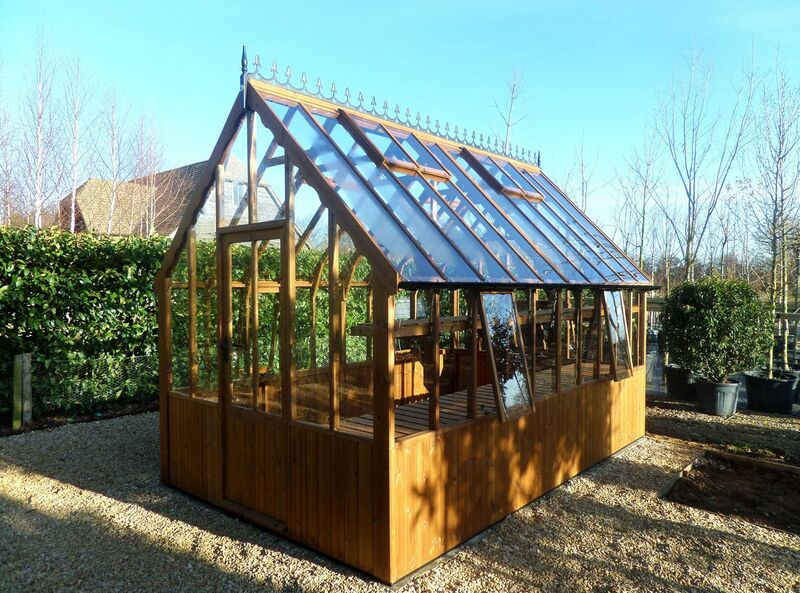 Of course this greenhouse can also be ordered in a range of painted finishes as well as plain timber to make this stunning greenhouse even more of a feature in your garden. The very best feature though perhaps with any Swallow Greenhouse is the fact that installation in your garden is included in the price. All we need is a hard level surface such as slabs or concrete to install your new Swallow Eagle Victorian Greenhouse onto!